I was back in South Carolina visiting family, and decided to head back to one of my favorite destinations, the Tabby Ruins on Spring Island. The forecast showed that clear skies were predicted, and compared to what I was used to in Wisconsin, decent temperatures. I loaded up the camera gear and the dogs, and headed out to the island after dark. 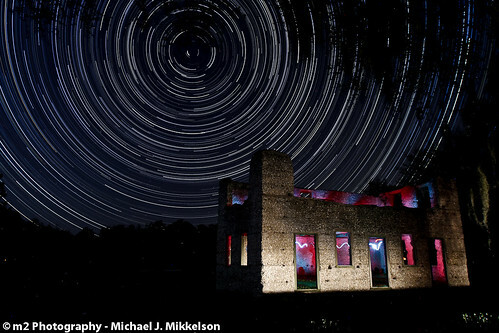 The intent was to set up 2 cameras and capture a series of images to combine into star trails. 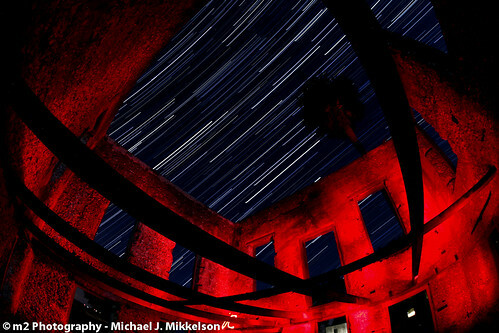 I used the software, StarTrails to combine the images, which makes it much easier and faster to get the desired result. 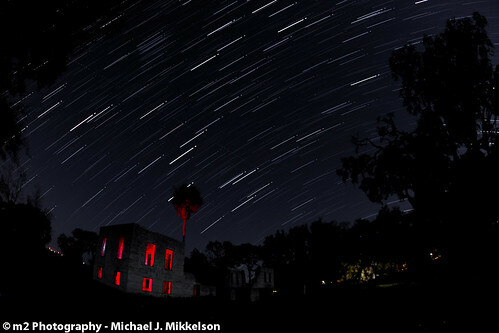 All images were 30 second exposures. I also used a LED headlamp and red LED flashlight to paint the ruins to get some interesting effects on the inside and outside of the buildings. For additional images from the Tabby Ruins, click here.